The story of the game we love and play today begins at Rugby school, that much is true. How a boy by the name of William Webb Ellis became so remarkably synonymous with the sport though, is a story driven by a ruthless desire of power and control. 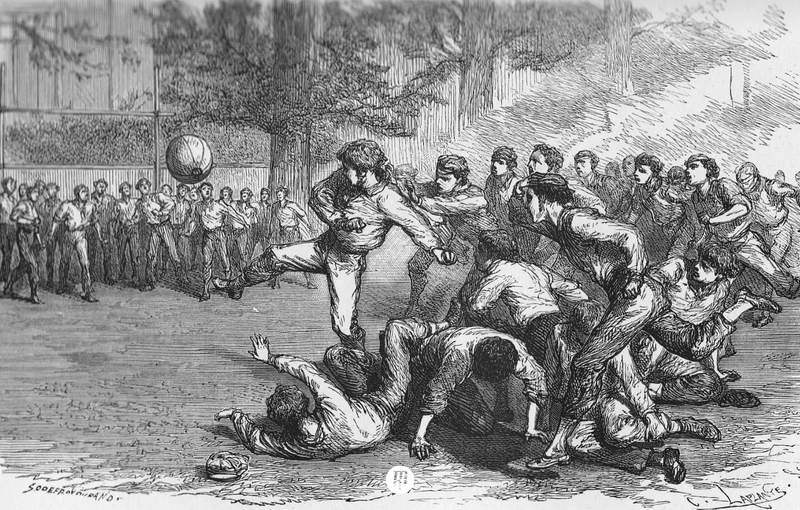 There have been a great many styles of game played across the world throughout history that share a striking resemblance to rugby, and there were plenty of folk sports being played throughout the British Isles prior to the 1800s. 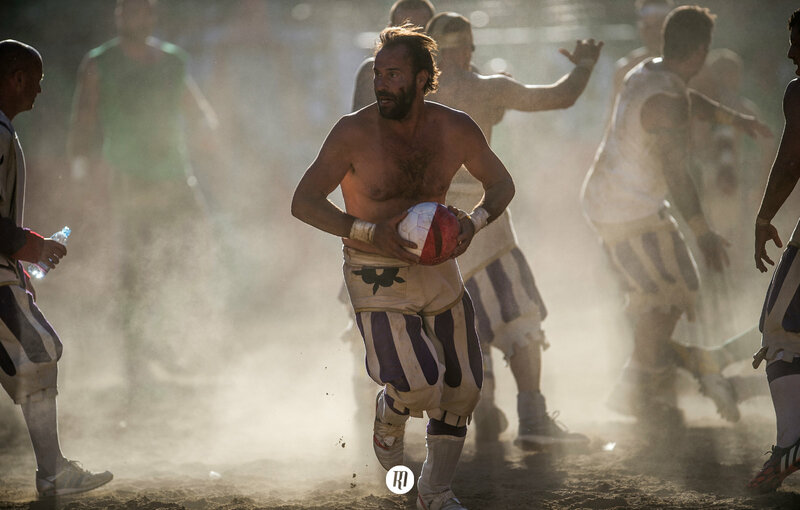 As the early years of the century moved on, the popularity of these folk games slowly began to wane. Village societies were shaken by the increasing industrialisation sweeping the country. More and more people moved into cities that had no space for games, and where they did, their enjoyment was suppressed by stringent working hours and both the creation of the police force (1829) and the introduction of the Highways Act (1835). The reverse was true in rural schools however, where varying forms of sport continued unabated. In fact, as we have learnt from the story of a certain boy named Astley, these games were actively encouraged. While violent and aggressive, they were also controlled, and channelled young boys' energies into an organised and safe environment. And so it was, that while these games were being played, a student with a fine disregard of the rules ran with the ball. 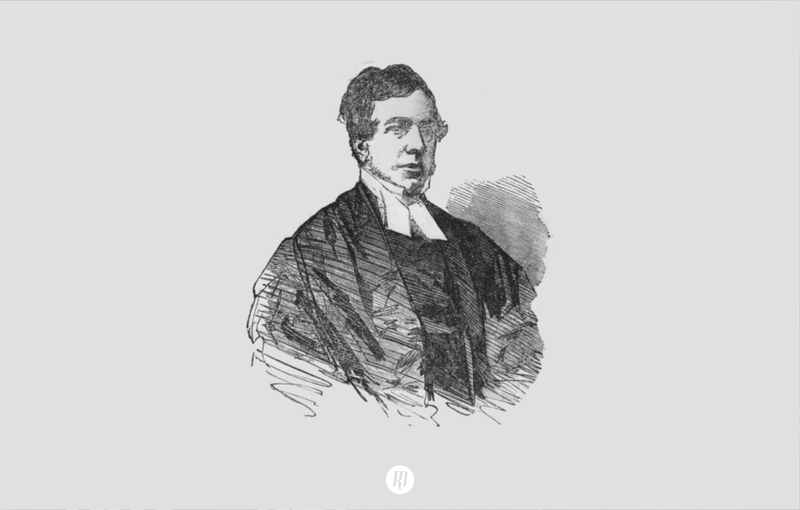 It’s certain that William Webb Ellis was a pupil at Rugby School, attending from 1816 to 1825, but despite living long enough to see the sport in which he allegedly had a pivotal role become played across the British Isles, he never claimed any glory. He left Rugby School to attend Oxford University before joining the church. 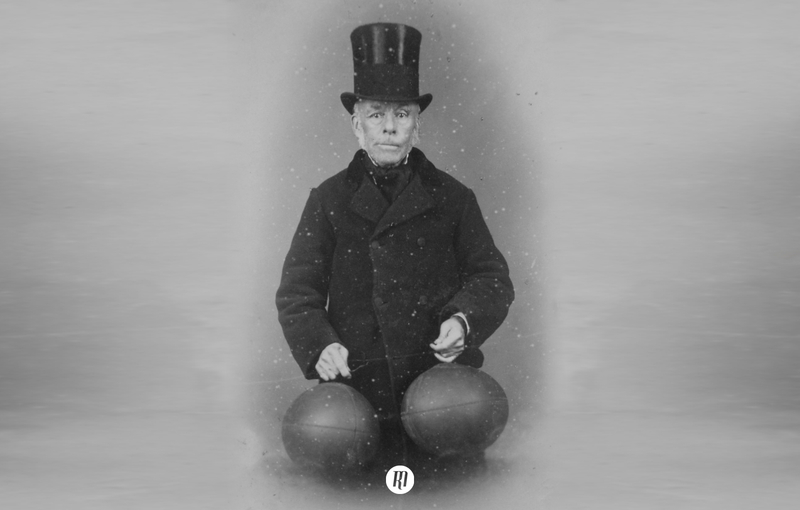 He died in 1872 in Menton, France, where his grave is a place of pilgrimage for passing rugby teams. 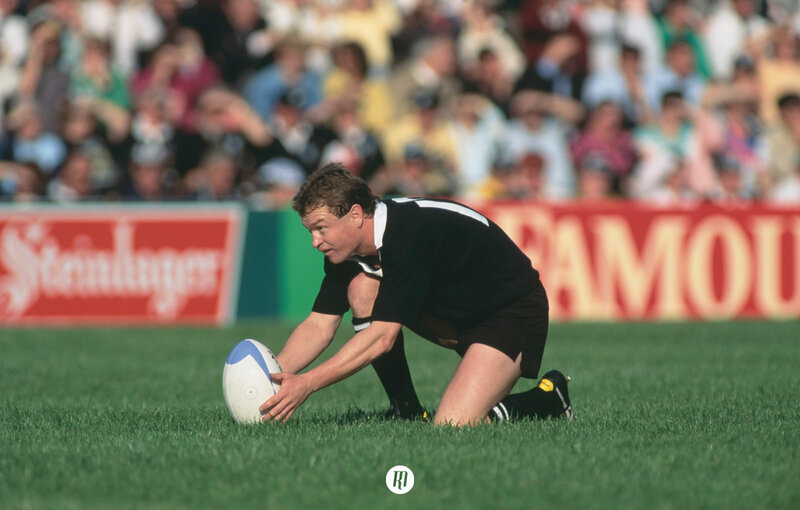 It was not until after his death in the late 1870s that his legend was born though, when Old Rugbeians started to look back at the history of their game, and invited ex-pupils to write in with their recollections. With many now around 80 years old, and with memories likely quite hazy, only one letter returned with anything substantive. Matthew Bloxham, a local antiquarian, wrote saying that the change from a kicking to a handling game originated with a boy called Webb Ellis. He embellished on this story in a second letter by stating that William Webb Ellis had caught the ball, and rather than retiring which he was wont to do, as the opposition could only advance to where he had caught the ball, proceeded to rush forwards with it. However, Bloxham was not a contemporary of Webb Ellis, and was quoting an unnamed person who had informed him of the incident, and so the tenuity of the event remains. By 1895, rugby was fast approaching what would become known as the Great Schism. The control Old Rugbeians enjoyed over the game was wavering in the face of working-class clubs across the north of England. They believed these clubs were taking rugby in an altogether different direction, and so they formed a committee with the remit to cement their ownership on the game. It is worth noting, that the first five presidents of the RFU were Old Rugbeians, and the committee was seen as their way of reminding everyone who the game belonged to. And so ultimately, it didn’t matter whether Webb Ellis was the truth of it or not. The committee needed it to be true, and they made it so. During the inquiry, they called on many former pupils to substantiate the legend, and one of Webb Ellis’ contemporaries, Thomas Harris, is recorded as suggesting that Webb Ellis was certainly a good cricketer, though ‘he was known to take unfair advantage at football’. But of course, as we have already discovered, running with the ball in your hands already existed as a game well before William Webb Ellis was a twinkle in his father’s eye. Importantly though, and as tenuous as Mr Webb Ellis’s story might be, the game we love and play today was born at Rugby School.